Russian rabbi of the first half of the nineteenth century. 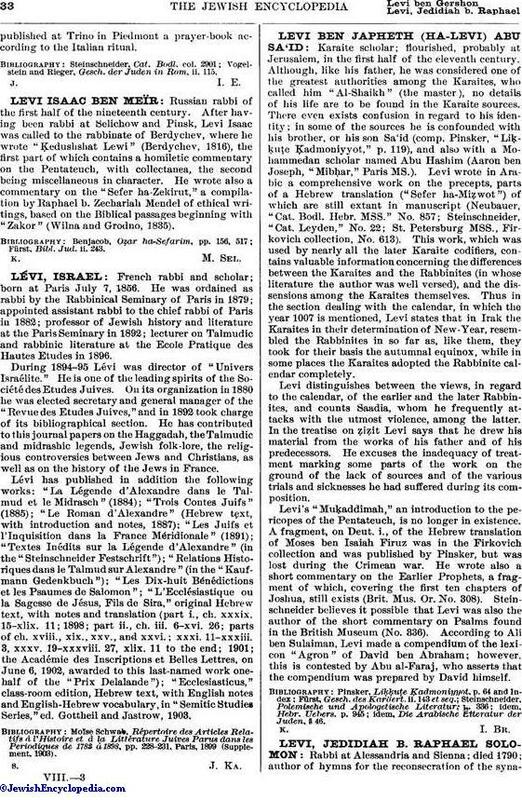 After having been rabbi at Selichow and Pinsk, Levi Isaac was called to the rabbinate of Berdychev, where he wrote "Ḳedushshat Lewi" (Berdychev, 1816), the first part of which contains a homiletic commentary on the Pentateuch, with collectanea, the second being miscellaneous in character. He wrote also a commentary on the "Sefer ha-Zekirut," a compilation by Raphael b. Zechariah Mendel of ethical writings, based on the Biblical passages beginning with "Zakor" (Wilna and Grodno, 1835). Fürst, Bibl. Jud. ii. 243.